Apply for ComDev’s flagship MA program & courses from 15 March to 15 April 2019! The spring application window for ComDev’s programs and courses is now open from 15 March – 15 April 2019 and we are once again looking forward to receiving your application. Based on the strong competition for spaces and experiences from previous admission rounds it will be difficult to get admitted to the program without submitting your application letter! The MA program is a 50% full-time course taught in our online blended learning Glocal Classroom that we have pioneered, improved and enhanced for almost 20 years! ComDev program coordinator Tobias Denskus introduced our Glocal Classroom in the context of Malmö University’s internationalisation efforts. 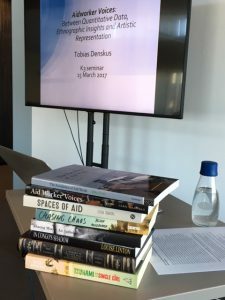 And finally, our Advances in Communication for Development: Social Action, Planning and Evaluation course will be available again in the autumn. The course is part of the 2-year MA, but it can also be taken independently as part of your on-going professional development or a great way to get to know the ComDev learning environment better! Please note that all applications have to be made through Sweden’s central university admissions website and that the ComDev team will only evaluate the letters of intent and not other parts of your application. University admission should always be your first point of contact regarding application matters, including formal qualifications or language requirements. If you are a British citizen and wonder about the implications of a possible ‘Brexit’ the short (and legally not binding) answer is: It’s complicated…You are most welcome to apply, we appreciate that British students have always been an integral part of the ComDev community and we sincerely hope that things get sorted out and you will be able to study without paying fees in the foreseeable future! Our colleagues at Malmö University admissions (admissions(at)mau.se) and our course administrator Josefin Waldenström can be contacted for technical questions regarding your application as well – and you can also get in touch with the ComDev team at comdev(at)mau.se – just allow a few days for replying individually during this busy period of the semester. 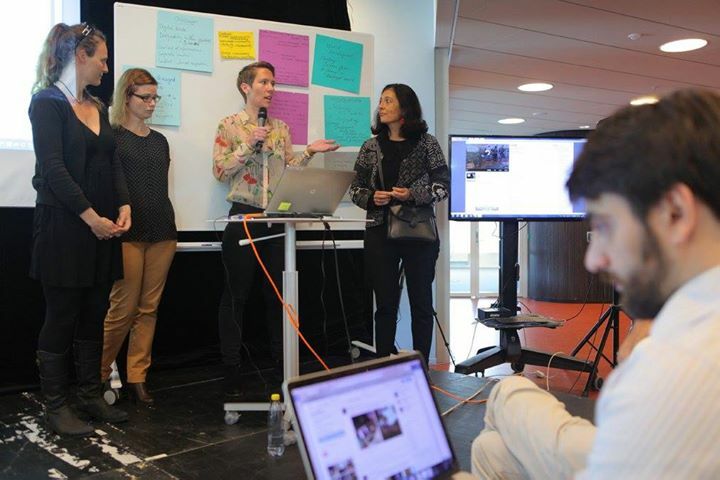 We are looking forward to your applications and welcoming you to Malmö in September 2019! Apply for ComDev’s flagship MA program in January 2019 until 15 October! We just enjoyed our first seminar in Malmö as more than 120 students across all our courses commenced their studies with us! The autumn application window for ComDev’s MA program is open from 15 September – 15 October and we are once again looking forward to receiving your application. 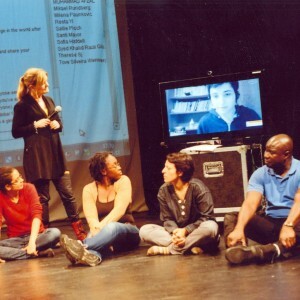 You can also read what graduates from the course have said about ComDev. We also have more profiles in connection with the ComDev experiences in the United Nations system and a portrait of one of our pioneering graduates from 2002 available here on the portal! Our colleagues at Malmö University admissions (admissions(at)mau.se) and our course administrator Åsa Ulemark can be contacted for technical questions regarding your application as well, but make sure that you checked the comprehensive information on University Admission’s site first. You can also get in touch with the ComDev team at comdev(at)mau.se – just allow a few days for replying during a busy and active semester. We are looking forward to your applications and welcoming you to Malmö in January 2019! 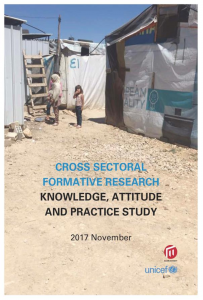 The report for the Cross-sectoral formative research – Knowledge, attitude and practice study, which was conducted under the leadership of ComDev professor Ronald Stade on behalf of the country office of UNICEF Lebanon is now available online. The background for the KAP Study is the impact of the Syrian crisis. Lebanon has received more international refugees per capita than any other country in the world. This has created an immense stress on Lebanon’s institutional capacities. Over one million children in Lebanon are directly affected by the crisis. They are in need of basic services like education, health care, clean water, as well as of protection and inclusion. Although aid organisations are increasingly concerned about promoting gender equality, when faced with people’s immediate needs and the urgency to addressing them as fast as possible, social interventions can rely on, and reproduce, unequal gender roles and norms, rather than working to improve them. ComDev is hiring a full-time, permanent teacher & researcher! 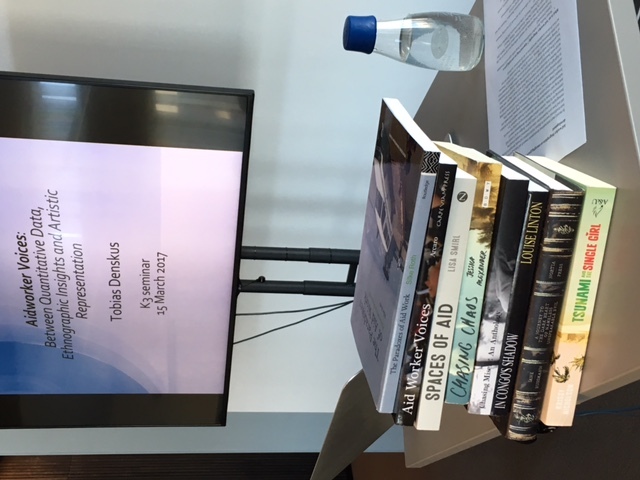 The ComDev team is very proud to announce that ComDev lecturer Anders Hög-Hansen successfully completed the process to be promoted as a Docent, an Associate Professor in Media- and Communication Studies at Malmö University! Anders’ public lecture Mix Tape Memories. Art, Storytelling, and Development took place in October. Congratulations, Anders! New book! In the Aftermath of Gezi-From Social Movement to Social Change?